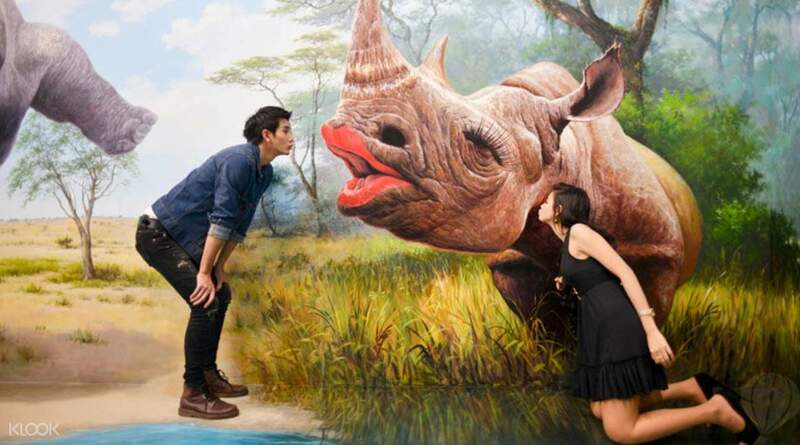 Experience the five 3D galleries with paintings that you can step inside, strike a pose and take pictures with! One-day entry ticket You'll want to charge your camera batteries as the interactive 3D art illusions will have you taking picture after hilarious picture! Experience life in a new dimension at an art gallery like no other! These unconventional paintings use an art technique where two-dimensional pictures are turned into three-dimensional images through the use of optical illusions. There are five zones within the museum: Aqua and Safari, Classic Art, Fantasy, Nature and Modern Art. Float down Venetian canals, venture through the jungle, roam ancient temples and escape a shark attack! The gallery is fully interactive, so you can touch, climb, pose and take photos with all the paintings. Don't make the mistake of thinking this is just for kids, adults get sucked into hours of fun here too! The museum's newest feature interacts with the audience by detecting facial expressions and movement. Swing by and check it out for yourself! It was a wonderful experience. The whole family enjoyed a lot at Art in paradise, Bangkok. I booked the tickets through klook a day before at a special price. The entry was hast free, we just had to show the mobile voucher.It is advised to download a special art in paradise app which creates special effects in pics taken inside. It was a wonderful experience. The whole family enjoyed a lot at Art in paradise, Bangkok. I booked the tickets through klook a day before at a special price. The entry was hast free, we just had to show the mobile voucher.It is advised to download a special art in paradise app which creates special effects in pics taken inside. 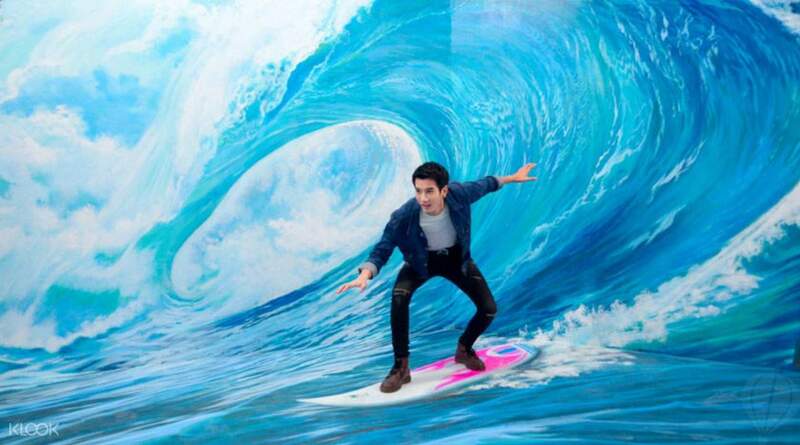 I love th place, everything looks surreal! When we are there, we were told that no shoes is allowed and th flooring is clean to be yourself and it such a perfect place to spend on with th family! You can take photos lying down as well! Will definitely come back here again! I love th place, everything looks surreal! When we are there, we were told that no shoes is allowed and th flooring is clean to be yourself and it such a perfect place to spend on with th family! You can take photos lying down as well! Will definitely come back here again! While my wife is having a Thai Massage at Let's Relax - Terminal 21, I brought my kids to this 3D museum which is 3 stops from Sukhumvit MRT Station. Its a place worth visiting and the kids were having fun there. Travelling to The Esplanade Mall is very convenient where the MRT station just right next to the mall (MRT Thailand Cultural Centre Exit 3). We spent almost 2 hours there as my wife finished massage and we meet up at Terminal 21. While my wife is having a Thai Massage at Let's Relax - Terminal 21, I brought my kids to this 3D museum which is 3 stops from Sukhumvit MRT Station. Its a place worth visiting and the kids were having fun there. Travelling to The Esplanade Mall is very convenient where the MRT station just right next to the mall (MRT Thailand Cultural Centre Exit 3). We spent almost 2 hours there as my wife finished massage and we meet up at Terminal 21. Just WOW!!!! All paintings here were amazing! They really looks REAL! We've spent half day here and finish with 100% satisfaction for what we have paid for. Thanks Klook! Just WOW!!!! All paintings here were amazing! They really looks REAL! We've spent half day here and finish with 100% satisfaction for what we have paid for. Thanks Klook! 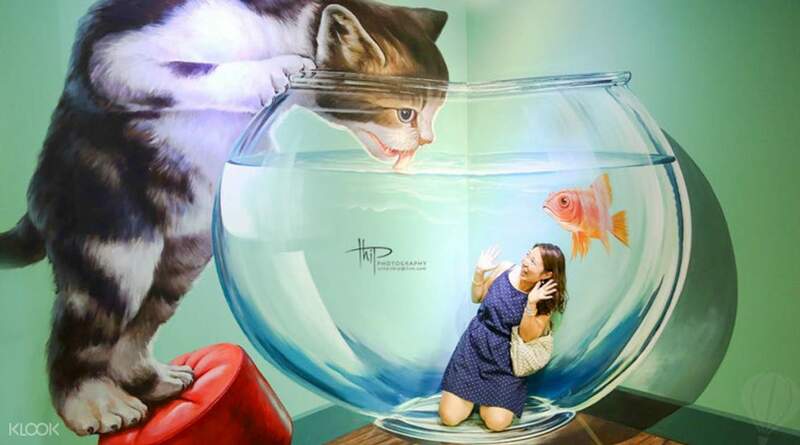 Nice 3D paintings, We can enjoy 2 hours easily. Blindly go for it. We reached there at 10 AM exactly, we we're the first visitors that day. Took lot of photos. Nice 3D paintings, We can enjoy 2 hours easily. Blindly go for it. We reached there at 10 AM exactly, we we're the first visitors that day. Took lot of photos. Oh it was so enjoyable! Thanks klook for hassle free ticket issuing! There was no problem at all! Direction written on the voucher was very helpful! I went destination easily using that direction! Oh it was so enjoyable! Thanks klook for hassle free ticket issuing! There was no problem at all! Direction written on the voucher was very helpful! I went destination easily using that direction! we had a great time. wonderful experience. this was our first 3d art experience. it would have me more fun if they have photo service. but we didn't had problem staff helped us to take pictures. we had a great time. wonderful experience. this was our first 3d art experience. it would have me more fun if they have photo service. but we didn't had problem staff helped us to take pictures. ..a variety of eye-enriching and artsy experience in a very wide location..recommended for children and even to adults.. ..a variety of eye-enriching and artsy experience in a very wide location..recommended for children and even to adults..